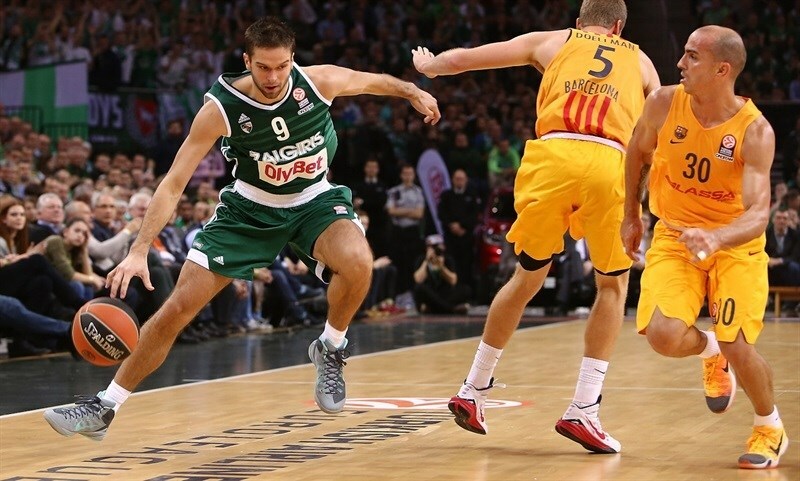 FC Barcelona came from behind on the road to win its third straight game by stopping Zalgiris Kaunas 78-85 on Friday. 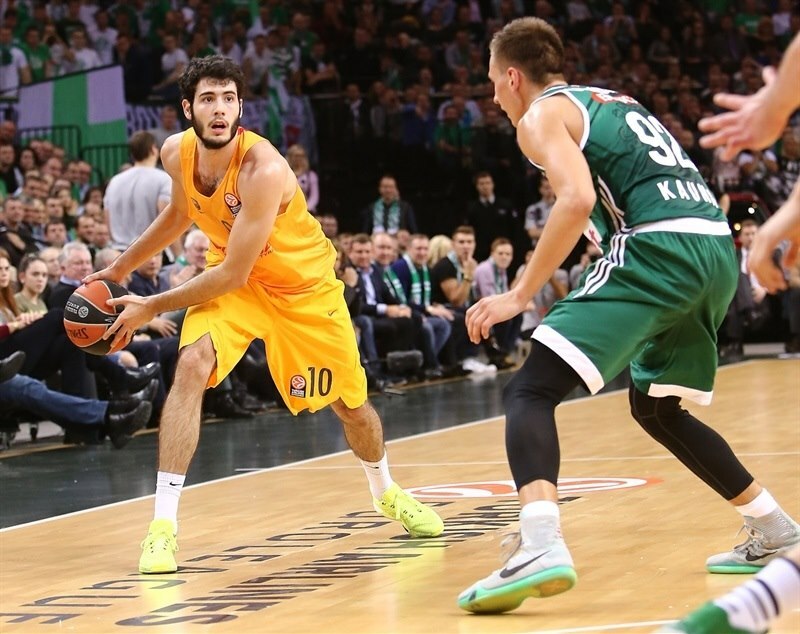 Barcelona improves to 3-1 in Group C while Zalgiris drops to 2-2. It was Barcelona's 10th win in 10 visits to Kaunas since the first in 1999. Barcelona leads their overall series 1-17. 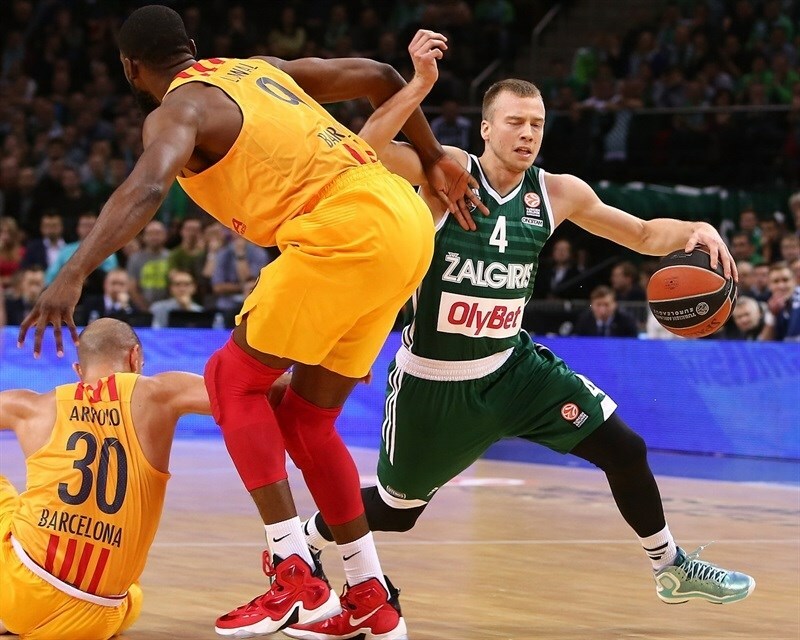 Zalgiris led this one for almost 15 minutes before Barcelona took over the scoreboard behind its deep bench and experience. The visitors' lead reached as high as 14 points, 53-67, late in the third quarter before Zalgiris cut it back to 63-69 early in the fourth. 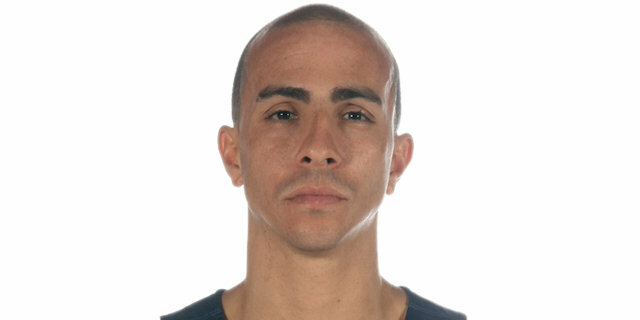 That's when Carlos Arroyo's three-pointer and steal-plus-layup put the momentum back in Barcelona's favor until the finish. 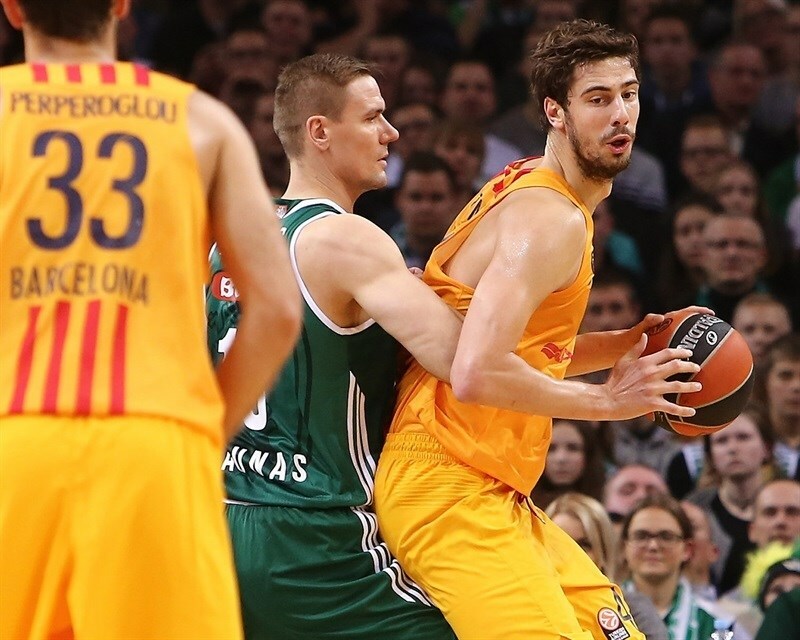 Ante Tomic paced the winners with 18 points and 8 rebounds. 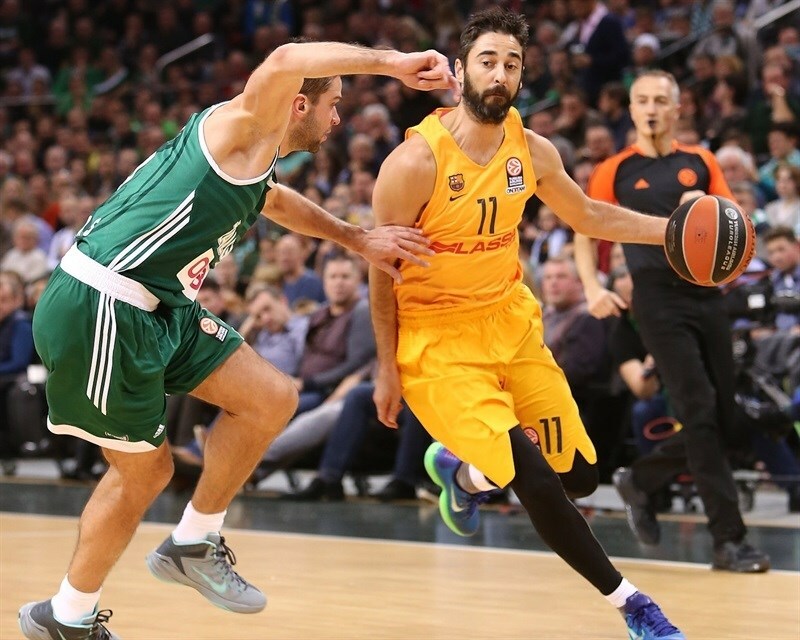 Arroyo scored 12 points, Pau Ribas 11, Justin Doellman and Juan Carlos Navarro 10 each. Renaldas Seibutis had 18, Paulius Jankunas 17 and Ian Vougioukas 16 for Zalgiris, but poor 3-for-15 three-point accuracy hurt the hosts. Arroyo stopped and popped a jumper to start the scoreboard for Barcelona. 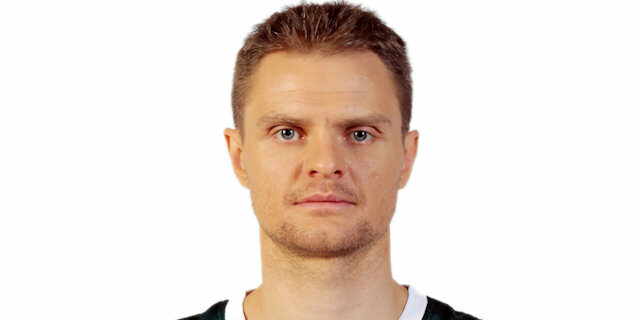 Vougioukas put back an offensive rebound and then assisted Seibutis on a corner two-pointer as Zalgiris went ahead 4-2. Navarro fed Arroyo for a transition layup that Jankunas answered with the game's first three-pointer, from the top. 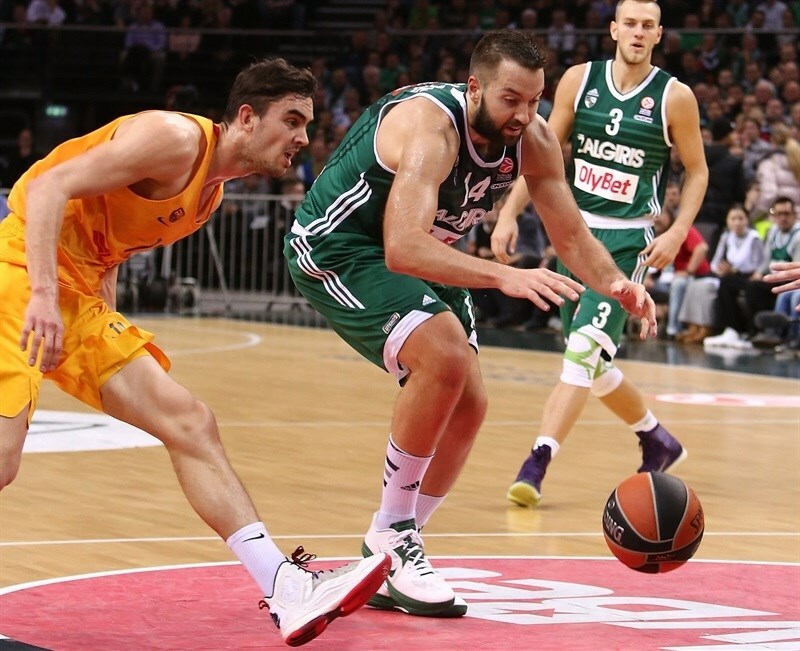 Tomic joined the Barcelona scoring from in close, as did Kalnietis the Zalgiris tally with a layup. Vougioukas nailed a fadeaway for the biggest Zalgiris lead yet, 11-6. Tomic and Vougioukas traded baskets again, then the Barcelona center did the same with Jankunas, who scored on a broken play at 15-10. Tomic hit 2 free throws before Doellman drilled a foul line jumper to get the visitors within a point. 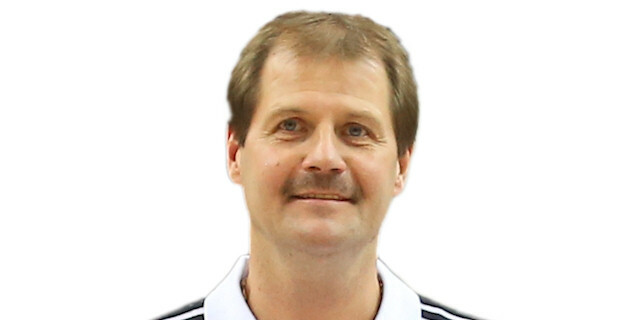 Edgaras Ulanovas changed that with a hard-fought hook shot and then Kalnietis led Jankunas with a pass for a fastbreak layup to make it 19-14. Stratos Perperoglou stepped on the floor and hit a free throw before a triple to make it 19-17 and Kalnietis answered with a quick running jumper. Olivier Hanlan downed a stop-and-pop jumper for Zalgiris, but at the other end, Perperoglou was left open for another triple and Doellman split the defense for layup at 23-22 to end the first quarter. Robertas Javtokas scored on a goal-tended hook shot to start the second quarter and then took a great pass from Motum for a slam and a 27-22 Zalgiris advantage. Tomas Satoransky got his first basket for Barcelona and then fed Alex Abrines, whose first was a triple that evened the score at 27-27. 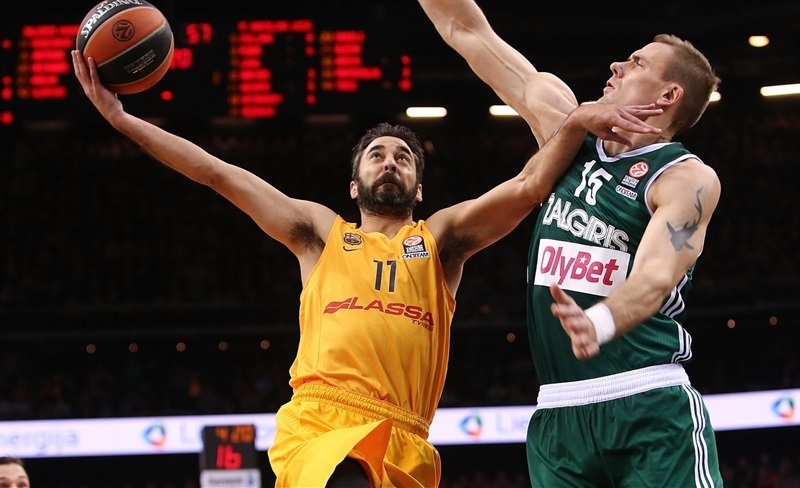 Satoransky did the honors of giving Barcelona its first lead since 2-0 from the foul line as the visitors' trapping defense started hurting Zalgiris. Doellman and Seibutis hit 2 free throws each before Shane Lawal made a flying offensive rebound and converted the put back at 29-33 for Barcelona. Siim-Sander Vene made his first appearance of the season for Zalgiris with a fine baseline one-hander before Ulanovas led Seibutis on the break for a layup worth a 33-33 tie. 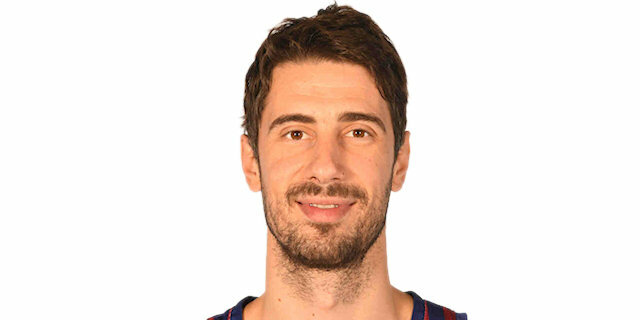 Out of a timeout, Barcelona found Pau Ribas for a tie-breaking triple, and then he hit a reverse layup at 33-38. Vene made another baseline shot but Ribas went to the foul line and matched the same 2 points. Javtokas kept the next Zalgiris possession alive with 2 offensive rebounds, after which Vene found Ulanovas for an alley-oop dunk. Tomic answered with a jumper, but Ulanovas assisted Seibutis for reverse at 39-41. Tomic was perfect at the foul line before Aleksandar Vezenkov finished Barcelona's scoreboard takeover by tipping in a miss just before the buzzer to send the visitors to halftime ahead by 39-45. Seibutis kept the Zalgiris charge going with a jumper to open the fourth quarter, but Arroyo's pass through the defense gave Samuels a dunk at 59-69. Zalgiris found Vougioukas alone on the break for a dunk and then Seibutis drove for a reverse as the hosts cut the difference to 63-69. But Arroyo nixed the hope brewing in Zalgirio Arena with a late triple and then a steal and fastbreak layup that gave Barcelona a new double-digit lead, 63-74. After a Zalgiris timeout, Vene found Vougioukas for a lane jumper, but Ribas matched it at the other end. 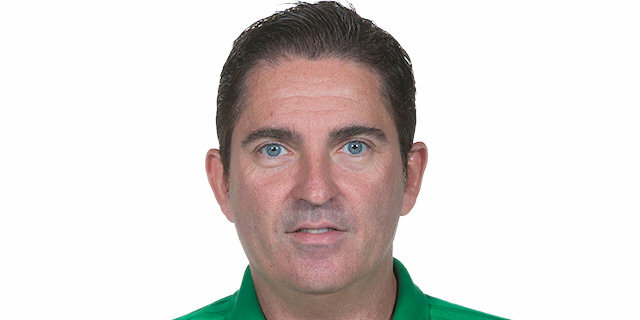 Next, Ribas assisted Arroyo open across the court and the veteran made Zalgiris pay with another three-pointer at 65-79. Kalnietis answered with his own shot from the arc, but again Ribas struck from the top of the lane. Seibutis hit from deep and Vougioukas from the paint to get Zalgiris within 73-81 with 3:15 to play. That's when Doellman reappeared with a flip shot from the post, and after the Barcelona defense held, Tomic beat another shot clock to make it 74-85 with 1:30 left. That assured the victory would go back to Barcelona again. "It‘s sad because we couldn‘t win in front of our great fans. We have to congratulate FC Barcelona Lassa for the win. I don‘t have a lot of complaints for my players. We fought hard, but that wasn‘t enough to win. In the second half our opponents made tough shots and we needed to respond, but we missed three pointers." "We knew before the game that it would be a very difficult challenge today, because Zalgiris is playing an excellent season. It was exactly like this. In the beginning of the second half, we improved our defense, we controlled the score, and then we could win. We are happy for this." "We couldn‘t stop their offense. We had to make some risky decisions in defense because they have a lot of good players. 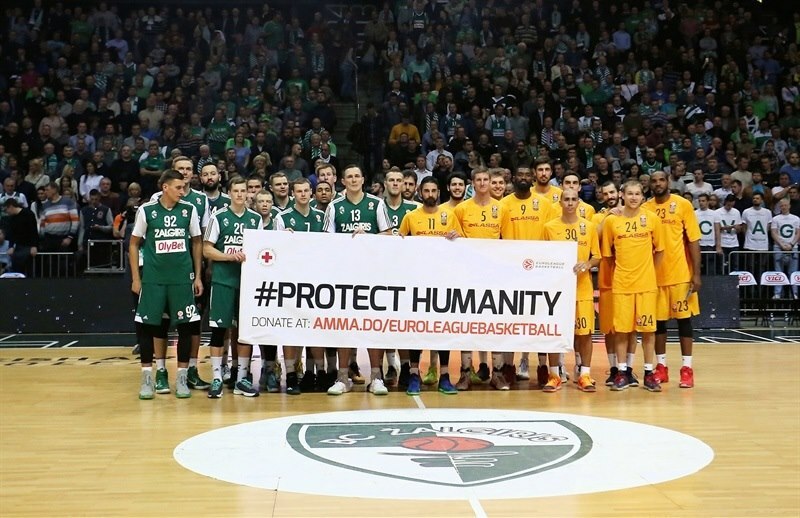 It was hard to defend them because the opponents made their shots. We needed more three-pointers to bounce back, but it wasn‘t the best game for us." "I understand that, above all, this is a team win. We had a lot of patience on offense, especially in the second half, and that was crucial for us. We were focused and executed the way we are supposed to. We rebounded well in key moments and played well as a team. We hope to keep playing like this. 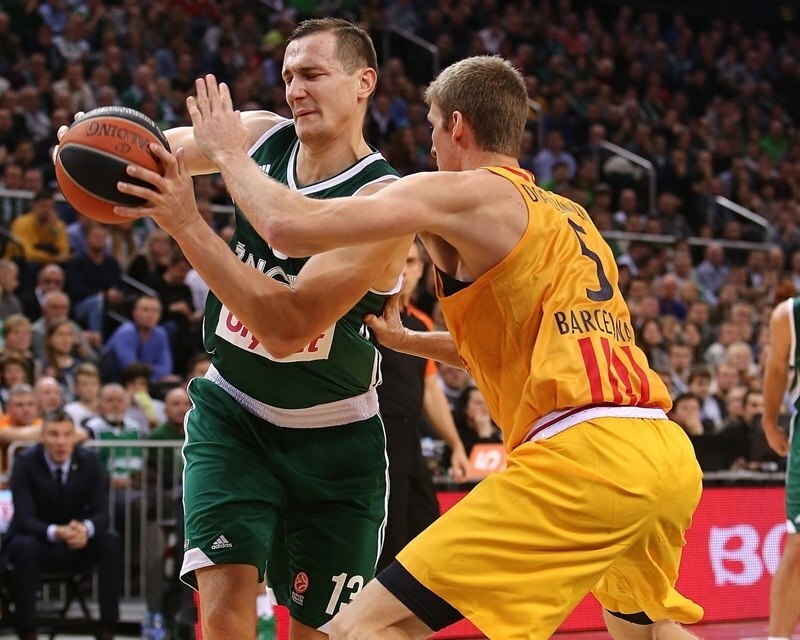 Winning in Kaunas is not easy; Zalgiris is playing well at the beginning of the season. This is a very important win for us. We keep on improving as a team." "To win a game away from Barcelona we need to play a complete game - defense, offense, passing the ball - and that's what we did today. We played like a team, and that's why we won, with good defense. Holding them to 78 and scoring 85 in Kaunas is very good."